Team building activities do not have to be as sophisticated as paintball, bowling, boot camp, building a shelter, you name it… You can do a simple team building exercise like HATS and SSCS in a meeting room with no budget and the engagement of your team will grow fast! Warning : You have to be ready to hear things that you might not like… The leader inside you has no such fear, right!? 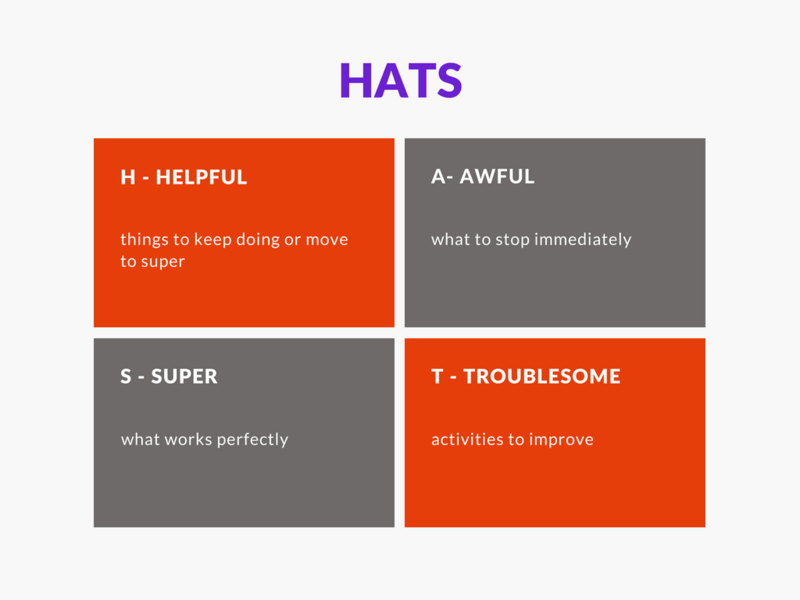 What is this simple team building exercise HATS and SSCS ? I discovered this exercise during a facilitation workshop hosted by Dawn Hoenie. It is an exercise that she recommends to organize at the end of the year, a project, an event etc. It is now the end of the semester, so right about time to do a mid-year review! How does it work? You create a safe environment so that everyone will express themselves freely. You explain that the objective of the exercise is not to blame anyone but to get everyone’s opinion. You give everyone a pen and a bunch of sticky notes. You ask your team to write down events/activities/initiatives etc (1 idea per sticky note, as many notes as they wish) and come stick them under the relevant category. What has been Helpful, Awful, Super or Troublesome? You group the sticky notes by theme under each category. You open the group discussion on each theme. You might get some surprises! This is ideal to understand everybody’s view and how things can be perceived differently in the team. 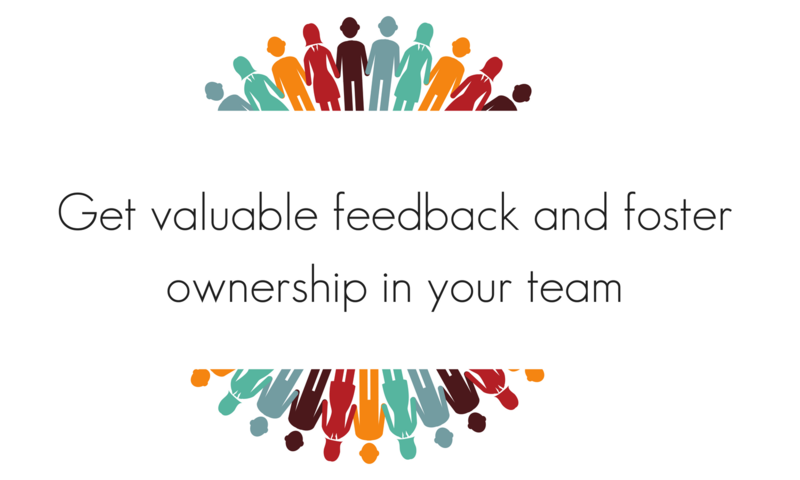 The second part of this exercise is to use this valuable feedback to make decisions that will affect the whole team…for the better! Act as a facilitator, you drive the discussion but let your team members express themselves and decide on an action list. The actions will be grouped by category: As a team, what you need to stop, start, continue and for what do you need to get support. 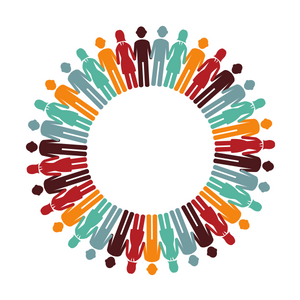 Your team members will feel involved, trusted, appreciated, empowered, valued and on a mission! On top of everything, they will take ownership of the actions. I care a lot for ownership in a team and I already posted an article on this topic : How can you get more engagement in your team with TOFU. Dawn Hoenie is an experienced facilitator, trainer, learning designer and process consultant. She is also an accredited Coach (Gestalt) and is a member of the International Association of Facilitators. Organizations with whom Dawn has worked with include JCI, Hyper Island, IKEA, Amgen, Gyro B2B, and Raiffeisen bank. She has worked in: United States, Switzerland, France, Monaco, New Zealand, Australia, United Kingdom, Germany, Czech Republic, Spain, and Sweden.